Hello, Please update the below listed details in your profile prior to requesting a document from your doctor. Tell us which information to request? What is your insurance ID? When was your last visit to this office? What are the last 4 digits of your SSN? Don't want to answer these questions? Verify your email. Would you like us to send your health summary to ? Disclaimer : This patient portal should not be used in the case of an emergency. Please call 911 or go to the nearest emergency room. You can expect a response to your message within two business days. Thank you. 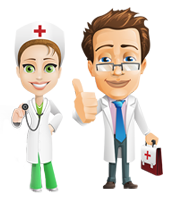 Want to book online with this doctor? We’ll let this doctor know you want to book with them on Healthjump. Are You Dr. Dana Shires?